I am writing this entry after coming home from work. The chemicals I inhaled from the royal blue dye I used to dye a pair of shoes was potent. My brain is fuzzy. I want to assure you that this post does not reflect my writing abilities but only my stubbornness when it comes to wearing masks for safety. My name is Janna and I am the mom of a sassy 9 year old girl. I'm a newly-minted United States citizen and I am learning everything I can as a new American. Despite its shady past and current political situation, I love my adopted country. I love the United States because it opened a whole world that would not have been accessible to me in the past, especially as a young, single mother. Growing up in a traditional but multicultural Filipino household, I never knew my worth and power as a female until I met American women who exuded self-confidence and intelligence. They inspired me to be brave, to be assertive, and most of all, to demand respect. I have lived in the U.S. for a little over a decade now and I can confidently tell you that residing in this country and experiencing its good and bad sides has made me a more compassionate and empathetic human being. I have been a young, single mother throughout my life here in the States. And, in a way, my daughter and I grew up together. I remember being in the hospital bed hours after giving birth, a nurse came in with a woman dressed in a nice khaki suit. She carried a stack of paperwork in her arms like a newborn. I don't remember if she smiled or congratulated me. All I remember is that she handed me several pieces of paper and asked me to sign them because I had no insurance, and according to her, there was no way I can afford the bill. I remember being scared and humiliated. At the time I did not understand how healthcare worked in this country. My grandmother, who was in the room with me, asked me in Tagalog what the woman wanted. I explained to her the situation and my grandma, having been here since the nineties, told the woman in the nice khaki suit that she would be paying the hospital bill in full with her credit card. The woman did not look amused. An old Asian lady who stands four foot, eight inches with a thick Filipino accent basically told her “no thanks” because she was going pay for it with a plastic card just like any other American. 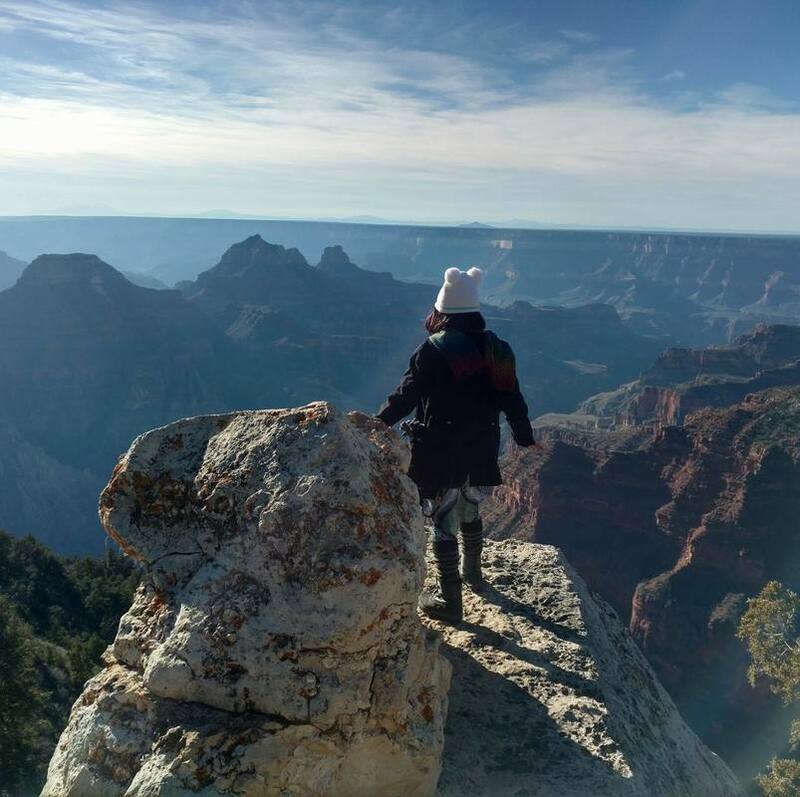 So far, I’ve raised my daughter, held jobs, paid taxes, argued with people at the Wal-Mart checkout line, fell in love, potty-trained a toddler, bought a used car in Florida with no A/C, suffered a broken heart, went on a coast-to-coast road trip with a kid in tow to see National Parks to mend said broken heart, started my own business, amassed student loan debt, and ended in Utah at age thirty and am still trying to find myself. As a brown female living in this country, it doesn't matter whether I was born here or that I now have a piece of paper saying that I belong here, I am constantly being reminded that I am different and that I will always be an other. ​When the topic of immigration became more frequent in the news and people I know started talking about it, I realized that there are so many American-born citizens who know so little about the U.S. immigration system. When the Muslim ban happened, I started sharing some of my experiences as an immigrant to my friends on social media as a way to explain how immigration is like through my stories. People are listening. I can’t stop talking about it now. I am starting the new year as a new American in this little space on the internet. Follow my journey here.